Working inside a building where the walls and flooring is crumbling and the heat is pouring through the closed windows onto your sweating forehead whilst you carefully overlock the edge of a £3 t-shirt sleeve, is not acceptable. Having your partner die of diseases called by agricultural pesticides and chemicals, due to the pressure from manufacturers and retailers to grow cotton quicker, is not acceptable. Leaving your only child with your family, miles away from your home, returning once a year to see them, because you can not afford the time or costs to keep them alive whilst you work in a clothing factory for $68 a month, is absolutely not acceptable. And I am referring to the true and hidden costs of the clothing you are wearing, as displayed in the eye-opening documentary, True Cost. As a female who has enjoyed buying low cost fashion for as long as I can remember, I have decided I need to make changes to my consumerism. You only need to watch the True Cost documentary on Netflix to gather many more facts than this blog post could offer. But I will acknowledge a few of the key facts that have stuck with me from the documentary, for us to discuss. 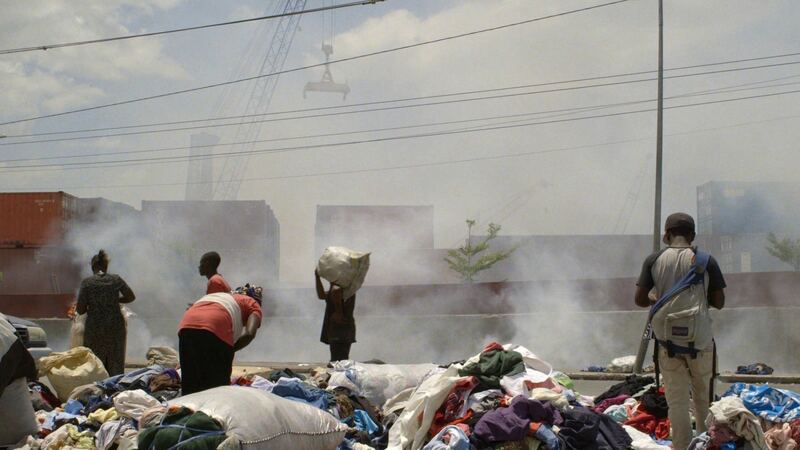 The documentary aims to prompt women to ask themselves Who Made My Clothes? For so long, I have known that there are factories around the globe that employed women to cut and sew the clothing on our backs, or lace up our Nike trainers or patiently embellish our garments with sequins and applique. And I suppose I purposefully turned a blind eye, because what can I possibly do to change anything? The sheer size of the industry boggled my mind when I tried to fathom how it all fit together. The sad truth is, it was easier to ignore the workers who were making my clothing. I just hoped that the clothing I specifically bought, was created by women or men, who were working in acceptable working conditions and were earning enough money to support their families. But the fact is, the majority are not. The fashion industry has changed enormously over the past ten years. When retailers like Zara began to churn out fashion seasons every week rather than twice a year, offering new items for sale and removing others faster than you can get your hands on them, the world and the retailers around them began to take notice. Clothing comes in faster and goes out faster, and the cycle continues until every other retailer decides that they too want a piece of this prosperous pie. And as consumers, we become accepting of the turnaround of clothing, and we too buy more clothing, quicker, because we are being manipulated into thinking we have to. Putting it like this, your Primark t-shirt that just cost you £4, think of the labour that went into creating that t-shirt. The cotton farmers who grow the cotton, the people who spin that cotton, those that dye the fabric, those that cut, sew, overlock and prepare the garment, those that ship the garments, transport them to the warehouses and then drive them to each individual store, oh and then of course, the retailer who sells them. If everyone is taking a cut of that £4 t-shirt, the majority in the favour of the retailer, there isn’t much left for anyone else. Definitely none left for the worker in the factory. A statement from H&M’s six month report refers to the external factors they face such as “raw material prices, cost inflation, capacity at suppliers, purchasing currencies and transportation costs” that they consider to have been negative on their purchasing costs. It’s not surprising really when they’re trying to squeeze all of those tasks down into the smallest price point in order to sell a £7 dress. They need to pay each person properly, and take larger cuts to their billions in profit each year and give their workers the life that they deserve. This goes for every retailer. These garment workers around the globe have become slaves to the clothing we wear on our backs and therefore are slaves to the first world. They should not be ignored or seen as a pawn we can use if it leads to cheaper clothing. Now that my eyes are truly open, I would much rather pay a higher price for my clothing than wear a product that a poor, impoverished and ill worker has had to spend their morning sewing. When a large retailer, say H&M, who happen to be one of the largest fast fashion retailers in the world, go to a factory in Bangladesh and tell, not ask, the owner of that factory, that they want 1 million t-shirts and they’re going to sell the t-shirt for £3, that factory owner can do nothing but agree and work faster, and cheaper, to provide the garments. If they decline, H&M will only go to the next factory and ask the same of another owner and will therefore shun the factory and workers they may have worked with for years. The people in that factory may be out of jobs or working on less products and therefore even less money, and that is when it becomes a vicious cycle. These workers in Bangladesh, Cambodia and so many other poverty stricken countries around the world, need their factory jobs to live. And whilst we could talk about bringing manufacturing back to Britain again (97% of manufacturing is now overseas), the reality is that we will only be causing more harm. Millions of people will be out of jobs – jobs that pay an unfair wage and are held in conditions that are unacceptable for any living species. But alas, they are the only jobs available. 40 million people work in garment manufacturing. The main issue here is fair payment. The biggest retailers choose to pay less and less for the clothing they source, because they have the power to do so. The cheaper the clothing is, the more they can sell. The more us consumers buy and throw away, the poorer we become. The only winner here is the retailer. These companies have factory owners backed against the wall, as without their orders, the factory and the workers suffer. Yet with the pressure for faster, cheaper clothing, the factories are pushed to their limits and the workers still suffer. They are completely trapped in the retailers web. No one is caring about the workers who are making our clothing! The issue also stems back to the minimum wage in each country and the government being unwilling to raise the wage of its people. It was heartbreaking to watch the shocking scenes from Cambodia, when the workers asked for a mere raise to $160 a month and the government sent the police into the streets to silence the protestors, killing five innocent workers and injuring so many more. These were people fighting for their human rights and a ‘fair’ wage and the government reacted with silencing tactics and violence. A middle-aged man burst into a fit of frustrated and helpless tears when he spoke of the fight they will continue to make, to reach a fair wage within his country. I feel completely helpless, knowing that I am not able to make these governments or retailers care more about their workers and their human rights. But hopefully if more of us wise up to the hidden truth behind our garments, maybe we could all start to make a change. But there are further implications to our constant buying and throwing away. Whilst a £3 blouse may seen fantastic on the surface, how often are you actually going to wear it? Once, twice, maybe three times, before it goes out of shape or you realise that you could just throw it away and buy another? I remember in the early days of Primark opening, I overheard so many people talking about buying towels from Primark for their holiday, and when they had used it once, they would just throw it away and buy another. Because they could. In honesty, I too am probably guilty of this. I’m sure we all are. Yet, what happens to that towel after you throw it away. It ends up on landfill, degrading into the earth taking around 200 years to decompose whilst releasing harmful gases into the atmosphere. 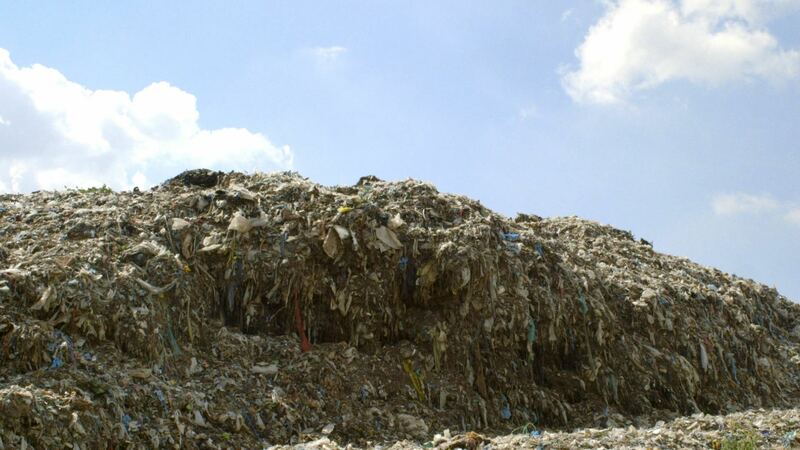 The sheer size of landfills now is crazy and disgusting and we are just polluting our earth with more and more waste. We need to stop buying products we don’t need and that will only last us a matter of weeks. If we buy smart and for purpose, we can start to make small changes in our own household at least. Fabrics don’t grow on trees. In fact they grow on the ground, in the shape of cotton bulbs. And the majority of cotton farmers in the world utilise chemicals and pesticides to spray their crop, ensuring that no cotton is lost from pests, and that the cotton growth is increased and enhanced by chemicals. 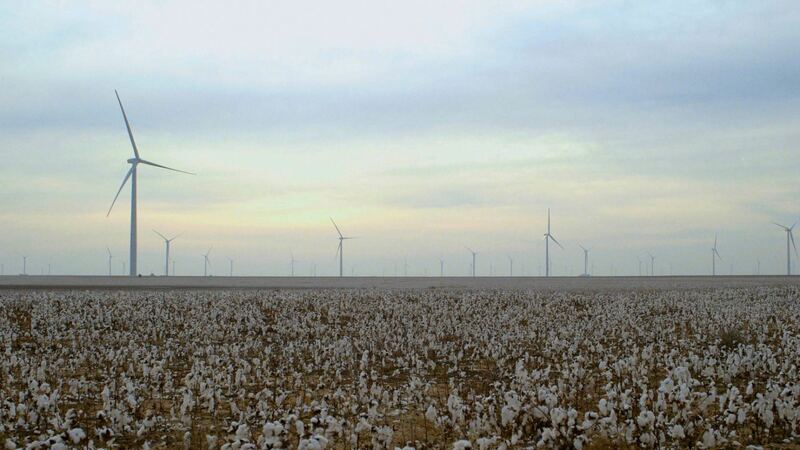 The faster fashion of the world requires more fabric which means more cotton, and therefore cotton farmers are under pressure to grow more efficiently. Larhea Pepper tells her story of losing her 50 year old husband to cancer, caused by the chemicals they were having to use on their cotton fields. He had lost his father before him to the same disease and causes. And therefore, she decided to move into Organic cotton farming, removing the chemicals and pesticides from her practices and growing cotton the way it is supposed to be grown. I had never thought long and hard about the implications of organic cotton and why it was such a respectable cause. But now my eyes are truly open. 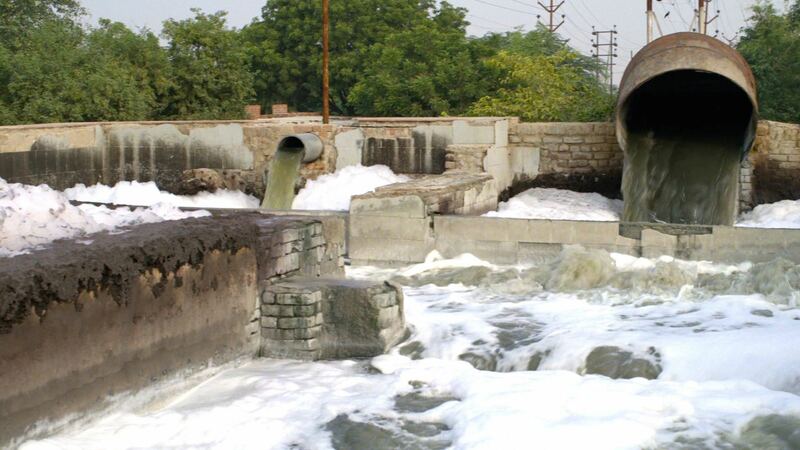 But there are also the implications of the water used to wash fabrics, dye fabrics and its journey into the soil, water supplies and homes of the people in the local area. Children are becoming handicapped, deformed and severely ill due to the local fabric treating industries. The waste from these factories is not carefully looked after and therefore the environmental implications are huge. The leather production industry especially is linked to a number of human health hazards as well as environmental implications. Raising the cattle for leather, costs the earth in fossil fuels, land and water. But further, the leather tanning process exposes workers to harmful chemicals and the pollution of water sources. Those that work in leather tanneries are at a 50% risk of cancer. But what can we do Differently? This article is not written to point the finger and spread the blame, but more to educate and inform. I too am being educated and I wanted to use this platform to inform others who are interested. Whilst as individuals we may not be able to make a huge change, as a group we can at least do our part to make a difference. I know that I will absolutely be making changes to the way I purchase and consume in future. Think smarter when you buy. Don’t just go for the cheapest, throw away item you can afford. Save up for an item sold by a retailer who obviously charges more for the products it sells and therefore the margin is not as finely squeezed. But do you research first – high priced does not equal ethical, and many designer retailers in the past have also outsourced their manufacturing to Bangladesh. If you think you will wear this item for at least six months to a year, or more, then it is potentially a more worthwhile investment. Buying an item to wear once will only lead to it lying on a land fill site, polluting the earth and adding to your carbon footprint. Buy organic cotton products whenever possible. The organic cotton farmers are fighting for a cause they believe in and deserve to be supported. Show that you care about where the fabric you are wearing has actually come from. And buy Fair Trade, and show your support to the skilled workers who are creating your clothing. There are a number of brands who stick to fair trade policies and aim to offer a real life to the workers who create their clothes, including People Tree, Stella McCartney and Patagonia. And there are more listed here. After reading insightful comments on this post, I have just been made aware of the Ethical Trading Initiative and am delighted to see some favourite brands are members; striving to improve their commitment to ethical standards. Here is a list of those, as I’m sure you might be interested! Full members of the initiative include ASOS, Boden, Burberry, Co-Op, Debenhams, Fat Face, Gap, Jack Wills, Jaegar, M&S, Monsoon, New Look, Next, Sainsburys, The Body Shop and The White Company. Interestingly, Primark and Inditex (Zara, Bershka etc) are also listed, although I was under the impression that as they as the fastest fashion retailers, they were high on the list of retailers adding to the issues. River Island, Hobbs, Whistles and H&M are all foundation stage members of the initiative. Supporting British manufacturing is also of great worth. Gina Shoes comes to mind immediately as one of the last, if not the last, shoe manufacturer in England, and after I recently visited their factory in Tottenham, I was amazed by the excellent standards of their factory. A retailer such as Gina Shoes should only be supported for not being drawn to the cheap labour of the third world. And there are a number of other brands demonstrating the same principles, including Private White V.C and Three Floor. If you would like to find out more, please visit the website for True Cost and watch the film. You can also find out how you can take action right here. Together, I’m sure we can make a difference, at least to our consumerism, principles and carbon footprint. Please leave your thoughts and comments below and lets discuss how we can make some changes.